The University ARC’s EchoIRLP (IRLP 4719/EchoLink W4UAL-R) node in Tuscaloosa is temporarily offline pending repair of a hardware failure. At this time, the node is expected to be returned to service on Thursday, December 6. Operation of the W4UAL 145.210 repeater for local RF traffic is unaffected and remains in service. I received this image from RS3ISS, the Russian amateur radio station aboard the International Space Station around 3:30 CDT on April 13, 2018. My receiver was a Uniden BCD15X and the antenna a Comet GP-9. 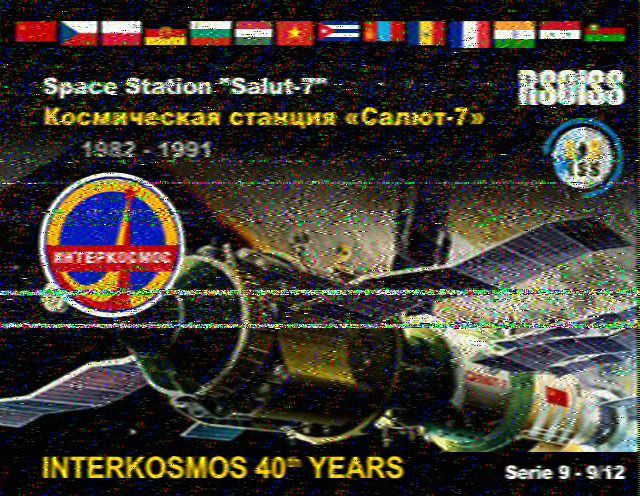 I recorded the transmission digitally and decided it with MMSSTV. 9667 for 0 days, 1 hours, 34 minutes, 29 seconds.